Is Indecision Killing your Dreams? Lately I’ve been getting all sorts of signs that it is time to make a decision. I’ve felt a bit scattered, distracted and unclear. I’ve found myself questioning certain actions and wondering if I am doing enough or the ‘right’ thing. I’ve had dreams of storms and pulled numerous ‘indecision’ related cards in my oracle deck. I’m in bit of a transition right now in my business and my life and while things remain undecided I can feel the scattered pull on my energy. In my business, I am in the process of putting some new systems into place that will further streamline my marketing, and while I am excited about the freedom this will bring, I have been hesitant to change what is currently working. In my life, I am getting ready to say goodbye to Madison as my home base and venture onto somewhere new. My first stop is Denver in August. I will be there for the month and then decide if I want to stay or move onto the next place. Both of these things are exciting, but require me to say goodbye to what is ‘safe’ and familiar and embrace the unknown. This has perhaps been one of the biggest lessons in starting my business and making significant changes in my life: Decision making. But making decisions based on what feels right in my heart…..not based on what looks best on paper, or what others approve of, or what feels safe or what has happened in the past. And this often feels scary because there are no guarantees. And I don’t know HOW everything is going to work out. But I have learned to trust that it always does work out and my heart does not lead me astray. And this is often where many of us get stuck when we start our business: Indecision. And this is probably the most uncomfortable spot to be in. Your heart is leading you one way. But your head is saying NO….its not safe, it may not work out, you don’t have what it takes, now is not the right time, you have to make more money first, your friends, family, etc will not approve……. You know in your heart that you are meant to start your business. You are meant to do work that you are crazy passionate about that gives you the freedom you dream of. But you are scared to fully commit. You convince yourself that it is better to dabble in your business than to put your full effort into it because then it won’t really matter if you fail. You don’t really believe in yourself and that you have what it takes so you hover in indecision…wishing and dreaming and telling yourself ‘someday’ but not taking the necessary action to make your business a reality. Often we are afraid of making the wrong decision or ‘messing up’ so we make no decision at all. And yes, this may keep you from experiencing failure, but it will also keep you from accomplishing anything truly great and all those things you are dreaming of. So this week, I am honoring the decisions I have made in my business and life and fully committing to taking the actions that move me forward toward those decisions. This includes some scheduling and planning in my business and some packing and organizing in my personal life. 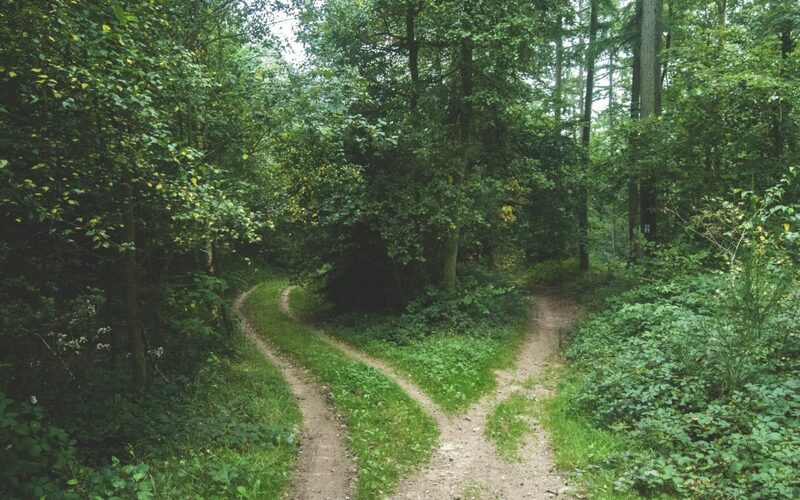 Are you stuck in indecision when it comes to starting your business? What is ONE action you can take NOW to move forward?